When a couple divorces, alimony may be awarded to the lower earning spouse. Alimony may be temporary, designed to help the receiving spouse transition from married life to being single. Alimony may also be permanent when a court determines that the marriage was for a long-term duration, the receiving spouse has need, and the paying spouse has the ability to pay for that need. When those forms of alimony are insufficient to meet the needs of the lower earning spouse, courts may award durational alimony. What Factors Affect Durational Alimony? 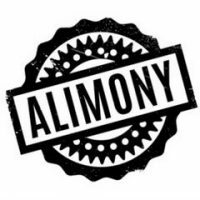 Unlike temporary alimony, bridge-the-gap alimony and rehabilitative alimony, durational alimony typically corresponds to the length of the marriage. Durational alimony is also different from permanent alimony because it has a determined end date. The objective of durational alimony is to assist the lower-earning spouse in maintaining the same standard of living he or she enjoyed during the marriage. Courts will analyze a number of factors when awarding durational alimony, the most important of which is the length of time a couple has been married. Durational alimony is more common among short-term and moderate-term marriages. Courts tend to award permanent alimony to spouses in long-term marriages. The receiving spouse has remarried or entered into a supportive relationship. Substantial changes that warrant an alimony modification are often financial. Modifications may be allowed if the receiving spouse experiences a windfall, such as a substantial inheritance, lottery winnings, a valuable gift or a large raise. On the other hand, modifications may be granted if the paying spouse retires, experiences long-term unemployment, or exhibits an involuntary decreased ability to pay. Other factors may include chronic health issues and fraud in obtaining alimony. In the event that the receiving spouse remarries, the paying spouse’s obligation to pay durational alimony will automatically terminate. Similarly, the paying spouse’s alimony obligation will terminate upon the death of either spouse. If you have questions about durational alimony and other forms of alimony, you can contact our family law attorneys at Arwani Law Firm ,. We have handled complicated high conflict divorces, and we are confident that our team can provide you with the legal assistance and attention that your case requires.